The library will be closed Sunday April 21 and will resume normal hours of operation the following day, Monday April 22. 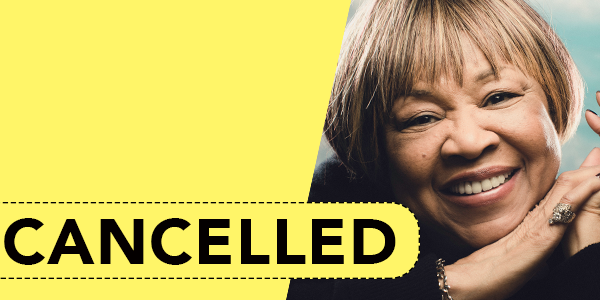 April 2, 2018 -- We regret to announce that an Evening with Mavis Staples has been canceled. Our thoughts are with Ms. Staples and her family.OFFICIAL STATEMENT: "Mavis Staples regrets that she has been forced to cancel her engagements this week so that she can attend to a family emergency. Mavis loves her fans and is grateful to everyone who was planning to attend the event, and she sincerely apologizes for any inconvenience this unfortunate cancellation may have caused. She looks forward to returning to Lawrence in the very near future." Legendary R&B and gospel singer Mavis Staplesopens a new window is our 780s Series music storyteller for 2018. She is a Grammy Award winner, Rock and Roll Hall of Fame Inductee, and Kennedy Center Honoree. Ms. Staples will spend an evening in Lawrence on April 4th to share stories from her 60+ year music career. A time and location will be determined soon. “The 780s Series with Mavis Staples” is scheduled for Wednesday, April 4, 2018 and coincides with the 50th anniversary of the assassination of Dr. Martin Luther King. A time and location will be announced soon. The program is free and open to the public. No tickets are required. ​Here's Mavis singing for the Obamas at the White House! Ms. Staples began her singing career in 1948 at age nine, a small girl with a big voice in her family gospel group, The Staple Singers. The Staple Singers emerged as one of the biggest gospel acts of the 1950s, evolved to become an important part both of the 1960s African American freedom movement and folk music scene, and finally ending up as a chart-topping soul group in the 1970s. Their biggest hit, “I’ll Take You There,” has been called “the epitome of the Muscle Shoals sound” and ranks #276 on the Rolling Stone magazine’s 500 Greatest Songs of All Time. The Staple Singers were inducted into the Rock and Roll Hall of Fame in 1999. Ms. Staples, now 78, continues to make records and perform live. She won her first Grammy with the 2010 album, You Are Not Alone, produced by Jeff Tweedy of Wilco and Uncle Tupelo fame. Her most recent recording, If All I Was Was Black, another collaboration with Mr. Tweedy, was released in November 2017 and is one of her best, commenting directly on our current racial struggles in the United States. Named for the Dewey Decimal range for music, the 780s Series is a gift to our community from the Harrison Family Fund of the Douglas County Community Foundation. The Series brings prominent music storytellers to Lawrence to share the stories behind their music. Previous guests have included Booker T. Jones (2015), Kim Gordon (2016), and Jimmy Webb (2017).